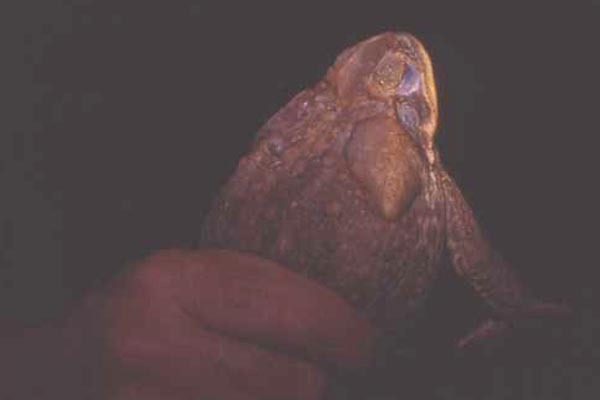 Originally from the Amazon, the Cane Toad (Bufo marinus) has spread across the tropics throughout the world. In countries where natural predators are absent (notably Australia) it is reviled as a serious pest. The large swelling behind the eye is one of two parotoid glands, which exudes toxins. The skin exudations are highly poisonous, and the toad is a voracious predator of small animals such as insects, mice, frogs and even small birds.